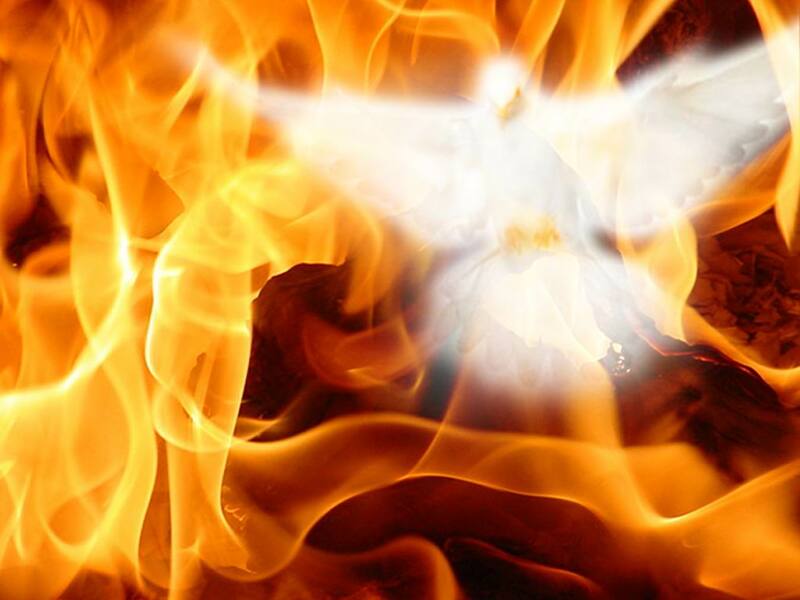 The Holy Fire – I Am Not Ashamed Of The Gospel Of Christ! I have never heard a sermon preached on these words of CHRIST. One receives the gift of the HOLY SPIRIT when one repents and is Baptized. It burns within the person as a HOLY FLAME which gives Light and Life. As one walks with The LORD JESUS CHRIST, obeying His+ Voice and keeping His+ Words, this HOLY FLAME burns brighter and brighter. EVERY OBEDIENCE TO CHRIST brings a further Anointing. Every obedience to CHRIST makes the HOLY FLAME within to burn ever brighter. Every obedience brings a Further Anointing for a further obedience. In this way we are changed from Glory to Glory into the image of our LORD and Savior JESUS CHRIST. Obedience in love for CHRIST is the FUEL which heightens the FLAME of the HOLY SPIRIT. Each time we walk in obedience out of love for CHRIST, the HOLY FLAME increases. More disobedience, more ignoring of The LORD, more setting one’s heart on values of this world, — dedicating oneself to the cares of this life and the deceitfulness of riches — chokes the Word and makes us unfruitful, thus dimming the Holy Light. The FLAME no longer burns brightly. It grows smaller and smaller and dimmer. If we cease to walk with CHRIST and turn back to the ways of the world, the cares of this life, the deceitfulness of riches, much activity in the world that is of the flesh, these all make the FLAME diminish each step of the way. The world, the flesh, and the devil are ALL very deceitful. The goal of those three is to destroy our walk and witness … both individually and collectively. The more that the flesh and the world are served, then the more lukewarm we become. The dimmer the HOLY FLAME will burn. If we begin to practice WILLFUL sin and refuse to turn from it, the HOLY FLAME will go out. The HOLY SPIRIT WILL DEPART . Our last state will be worse than our original state. It would have been better not to known the way of Life than to know it and TURN AWAY from The Holy Commandments delivered unto us. At this point, the person who does this is in DEEP trouble. It is quite probable that if one habitually serves the flesh and the world, he will NOT EVEN KNOW that it has happened. Let us sow to the spirit and NOT unto the flesh, laying hold on Eternal Life to the which we are called. This is very serious, as the BLESSED HOLY SPIRIT will not stay with one who willfully practices sin. GRACE does not cover willful, stubborn sin. HE+ will CHASTEN those HE+ loves, but if we persist in serving self and the flesh HE+ will allow us to do so. We make our choice. We always have a Free Will. Therefore, sow unto the SPIRIT, not unto the flesh. Take hold of Eternal Life, to which you have been called. Remember: One cannot trick GOD. HE+ knows when a person is following HIM+ with all his heart… and when he is NOT. Let us allow The SON+ of GOD to TOTALLY control our lives and empower us for a life lived in and through HIM+. The stakes are too high to play games and to half-step. JESUS said that HE+ would reward every man according as his works shall be, not what he says he believes. We must be sure to Make CERTAIN that our names are written in The LAMB’S+ Book of LIFE.